Most MLB teams have a dog day at least once during the season where they allow you to bring your favorite canine to the game. I can’t think of a better combination than being at a Giants game with TM and my pup! Since we were in the city, we decided to find a restaurant with outdoor seating so we could all dine together after the game. Enter Beretta. Everything we ordered was pretty impressive but our starter was amazing. Every element of this dish had something I love: burrata cheese, walnuts, mushrooms, truffles and honey. Put it all together on some fresh bread and it’s heaven. 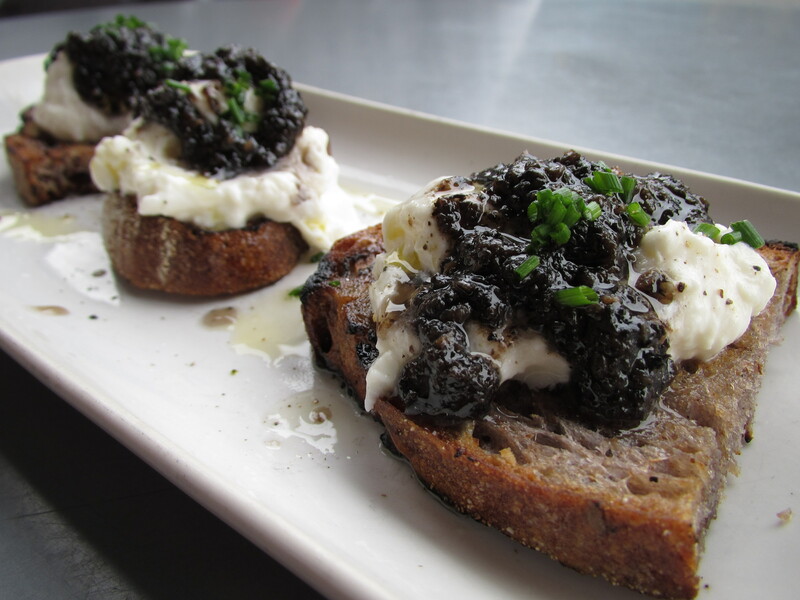 If we go again, I would definitely order the burrata bruschetta on walnut bread with mushroom truffle honey. I would even consider ordering two! We had heard the portions are on the smaller side so we also ordered gnocchi with porcini & smoked pancetta as another starter. 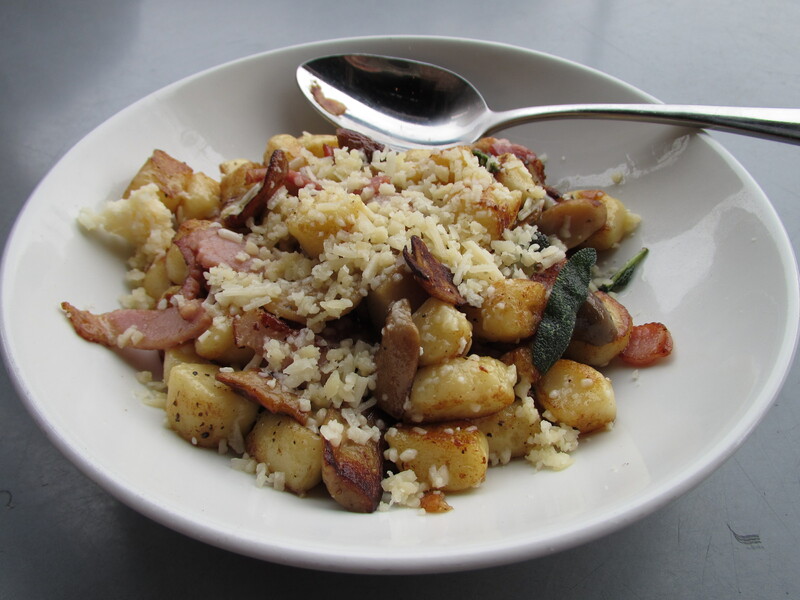 The gnocchi were light and airy and had great flavors from the mushrooms and pancetta. I chose the saffron with osso buco risotto as my main dish. 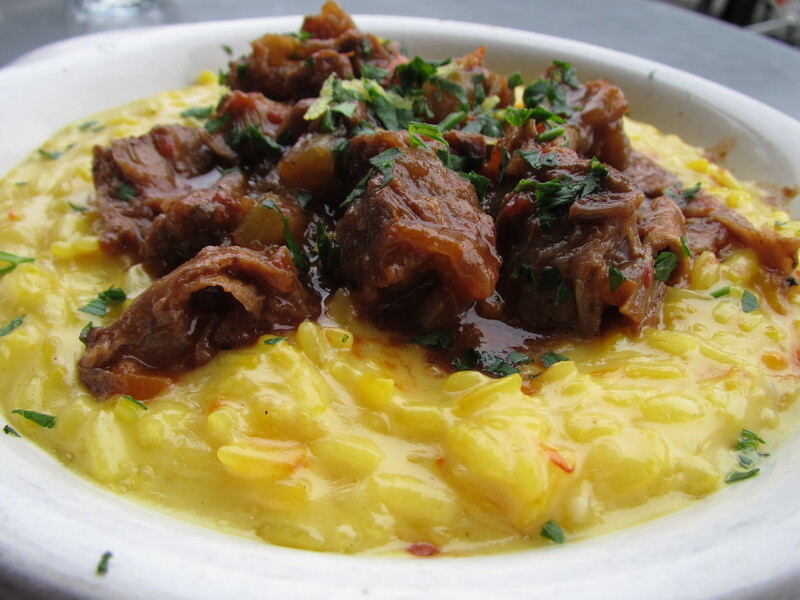 The osso buco was tender and flavorful and the risotto was cooked to luscious, creamy perfection. TM chose the hanger steak alla siciliana. It come with onions and broccoli rabe on the side. 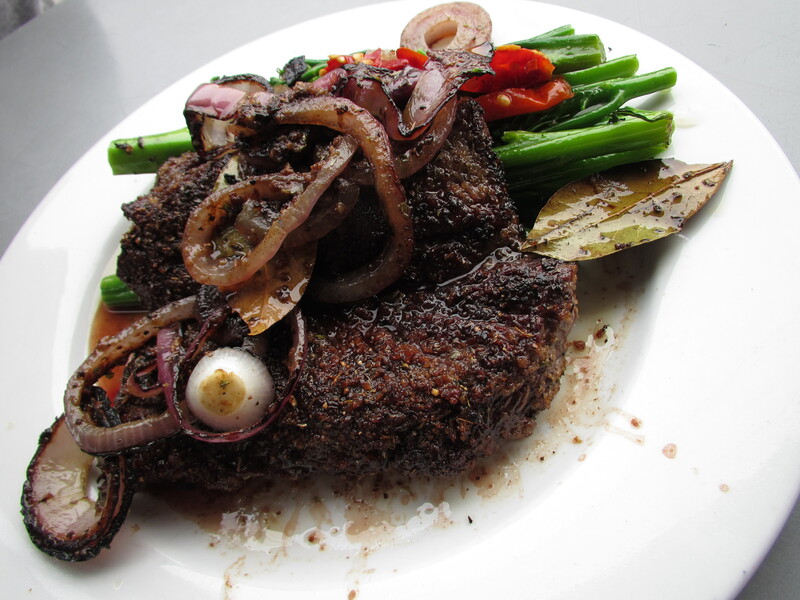 His meat was cooked nicely and was very peppery, which I liked. I loved the ambiance of this restaurant – it looked very trendy inside. The pizzas I saw other people order looked amazing so I would definitely want to go back and try one.